So which is it? We have the right to follow lines of inquiry where they lead but the responsibility to be exercise care when our findings might affect the “well being” of others. 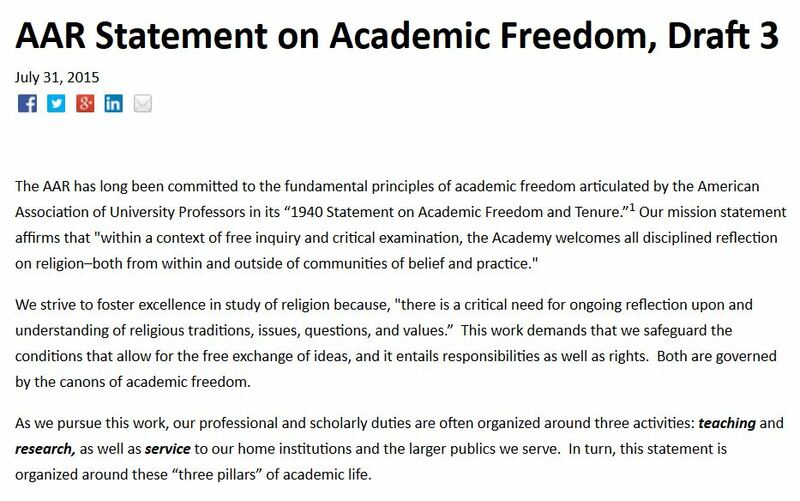 There’s a huge degree of vagueness here that would be enough on its own to challenge the statement, but what particularly strikes me is the fact that the very next sentence emphasizes that “scholars must be free from intimidation and free to form conclusions.” What of the intimidation resulting from a statement issued by the governing organization for scholars of religion suggesting we should somehow be privy to what makes for the well being of our students, colleagues, and public? Know your rights, but exercise care. 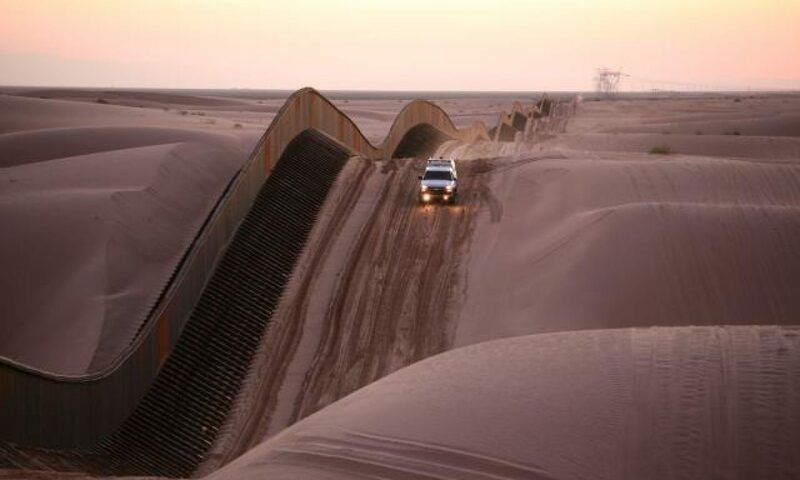 Follow lines of inquiry, but don’t impede on the well being of others. And despite a statement trying to address some of these more nebulous gray areas of research and its implications, be free of intimidation and form what conclusions you will. Huh? Later in the research section, we are told that “AAR members should be cautious in condemning unwanted speech or writing on the grounds that it violates standards of ‘civility,’ since sometimes that argument might allow unfair treatment and endanger free inquiry.” I don’t disagree, but…isn’t that dubious appeal to civility exactly the same embedded in the interest in care and well being above? So, I have to admit that, while I might see all sorts of potential problems with the rabbit holes various sections of the statement present (like the traditional definition of religion implicit at the outset in the mission statement that identifies “disciplined reflection on religion both from within and outside of communities of belief and practice”—the latter string of prepositional phrases says much inasmuch as it is present at all), I have trouble getting past my general confusion in order to articulate those critiques. The group drafting these statements would do better to take a stance clearly and directly and welcome the ensuing debates or critiques. Instead, it attempts to accommodate everyone, and in doing so, fails to say something of substance about academic freedom to anyone.